Think your computer has a virus or has been hacked? We can solve most viruses & malware to fix security problems. Need help understanding your computer or how to use it? We teach basic computer skills in the home for adults. Martin Computers have been in business serving Monmouthshire & Gwent since 2007 where we offer a full range of computer services. 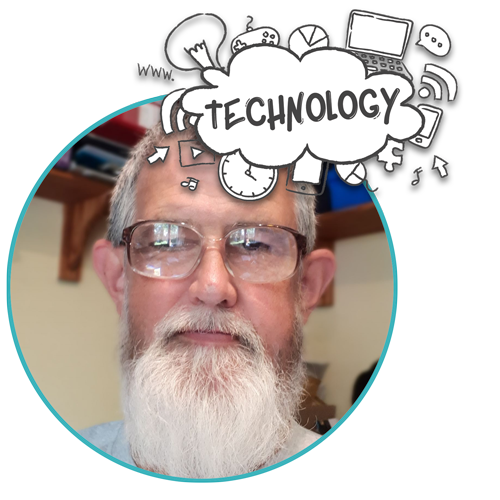 I am Ian Martin & I am a fully trained technician who takes pride in offering friendly and affordable computer services for lay people. Whereas many companies require you send your computer to them or bring it into a shop, I am willing to come out to your home, and if I can’t fix it there, I can take it to be repaired and will do my very best to get things remedied. I can repair computers, upgrade systems, set up the internet including emails and all the other items such as printers and scanners webcams etc. I can remove viruses and other nasties, and I also do networking, sharing files, internet set up etc. Computer Maintenance is a service I can supply, after a chat we can work out a useful timescale that suits you and your computer. The main difference with my service is I come to you, so you don’t have to worry about unplugging it taking to the shop. I don’t have a call out charge, but if you are a long distance from me, there may be a small charge to cover fuel. I cover home users and businesses. I am also qualified to teach adults, and cover subjects that some people struggle with including email, attachments, using scanners, eBay and photo editing etc. – Whatever you would like to know, you can even if it’s “what’s the right-hand mouse button for?”. Most of my customers look at me as a friend, and in return, I treat them the same. After working on peoples’ computers on a part-time basis, I decided that there was a need for my services, so I took the plunge and went full time. The most rewarding part for me is showing people how to do something they have struggled with for ages, or bringing a dead pc back to working order, as I enjoy the challenge. I don’t hold stock of pcs, but I can supply pcs, laptops, printers etc. very quickly if required to do so. What I want is for Martin Computers to be the first name people think of when they need advice or help in this area of Wales!